This 2 Drum Bund measures 1315x705x500mm to fit neatly against a wall or other out of the way place. 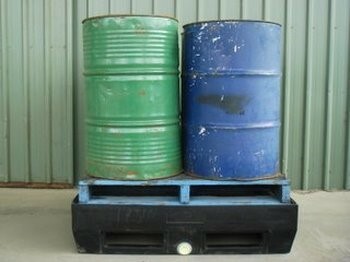 It has the capacity to store 2 x 200 litre drums. 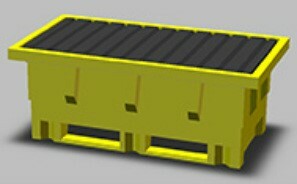 The 2 drum bund has fork lift pockets for secure movement by forklift or trolley jack. 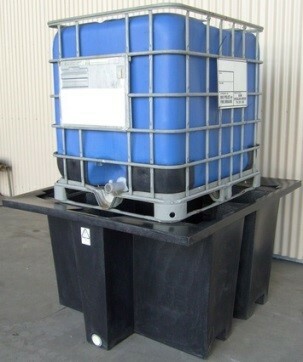 The B.1100 is ideal for all 1000 litre IBCâ€™s.